“I'm currently studying vocal performance at LSU." "I'd have to guesstimate since I was like 4 years old? I honestly don't remember. I didn't really sing in choirs with forrealsy sheet music reading until high school." “This one's kinda lame since I wasn't even actually doing music in this memory. I was working as a ride operator Six Flags the summer before my senior year, and it was a job that I absolutely hated. I had been working for about 6 hours and dealt with dozens of complaining parents, and the like and I was honestly just super angry and upset, and I actually thought about just taking the bus home and never going back. I went on break and pulled up Spotify, and just SOMEHOW happened upon the final movement of Mahler's 2nd Symphony in C Minor and just...wow. I remember just sitting outside the break area with my headphones in and just crying because I thought it was the most perfect thing that I had ever heard, and I knew I'd be ok. It was then that I was like 'hey maybe a career in music would be cool.'" "I'm real into reading and I've done taekwondo for 13 years. I spend the rest of my time being a grade A napper." "I'm gonna have to go basic and say the Beatles, with my favorite still active musician being Childish Gambino." "Able by Pharrell, from the soundtrack of the movie Hidden Figures. I just saw it in theaters, and that funky brass line literally distracted me from what was going on in the scene." “Invisible Man by Ralph Ellison. It's a really visceral but elegant story of a nameless black protagonist slowly realizing the way that bigoted 1950's America works, finally coming to the conclusion that in both white America and black counter culture, he has become essentially just an inconsequential placeholder, or 'Invisible Man.'" What were you doing in the summer when you were in middle school? "Bikes, video games, and waiting until the last minute to do my summer reading assignments." "I'd probably say the LSU Tiger's football team, partially because they're a great team to watch, and partially because I'm scared LSU will revoke my scholarship money if I gave another answer. Geaux Tigers!" "Well I'd already want to be in Lux just because it's a talented ensemble singing great music at a high level, but it's even better considering that it's full of the most fun people to work with, in addition to some of my best friends." What’s your favorite song you've sung with Lux? "When I suffered a work related bike accident and woke up after the crash with a horrible concussion and a few less full teeth in my mouth, the first thing I was documented to say was 'D major has 2 sharps, F# and C#'. If that's not dedication, I don't know what is." Anthony Jones is a versatile singer that has sung tenor and baritone (as needed) with Lux for eight seasons. 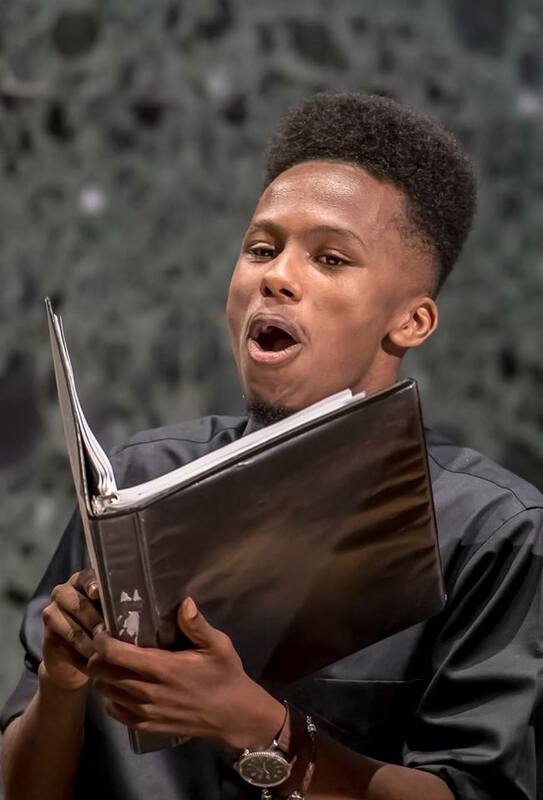 He is a Vocal Performance major at Louisiana State University in his senior year of study under the tutelage of nationally sought out operatic baritone Dennis Jesse. Anthony has sung a variety of vocal styles, having recently taken engagements as a soloist in Opera Louisiane's revolutionary reorchestration of Monteverdi's Ulysses, a guest Gospel artist and teacher in Costa Rica, and singing the role of Kodaly in the musical She Loves Me with the Louisiana Opera Outreach Program.